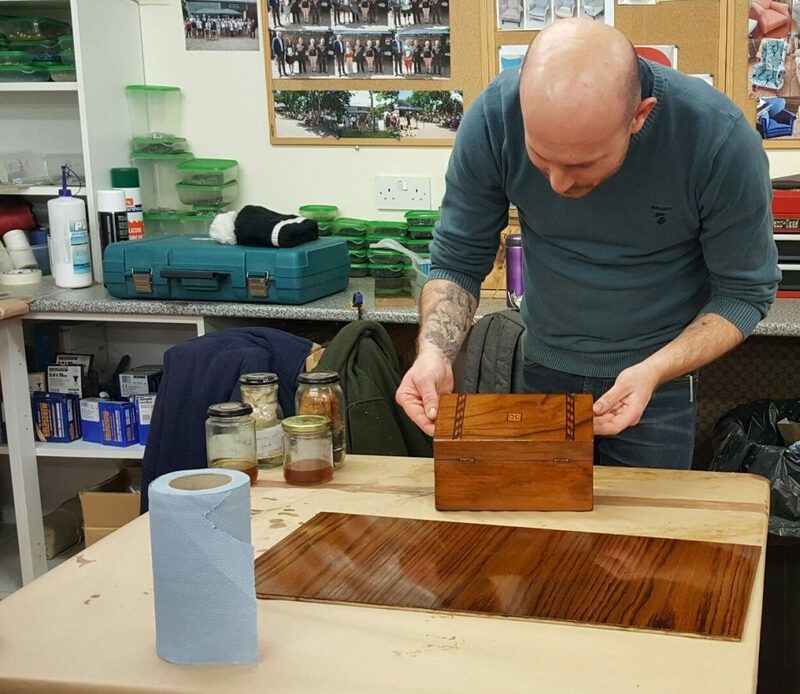 These classes are for people who would like to learn the traditional craft of French polishing in a small group. You learn the techniques on practice boards that are provided and you also have the opportunity to work on your own project, such as a wooden writing or trinket box. 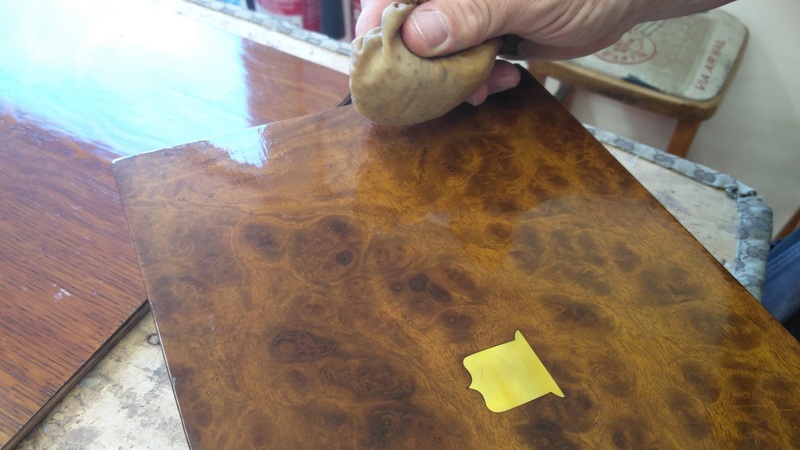 You learn about stripping; cleaning & re-polishing; dealing with surface defects; staining; scaling; grain filling; skinning in; bodying in; and stiffing off. You come in one day a week for three weeks.